The Christmas season is in full swing once more and the wonderful Winterval festival is sprinkling its magic and charm throughout the Waterford city centre. The atmosphere at this time of year is electric, exciting and exhilarating and brings visitors from all over the country to experience what the largest Christmas festival in Ireland has to offer. Among the hustle and bustle of the decorated city centre lies the enchanting Christmas Craft Fair situated in the Garter Lane Arts Centre. This springs to life at the end of every November and this year runs straight through to the 23rd of December boasting a vast array of exclusive and impressive locally handmade gifts that suit every budget, every taste and every gift list. 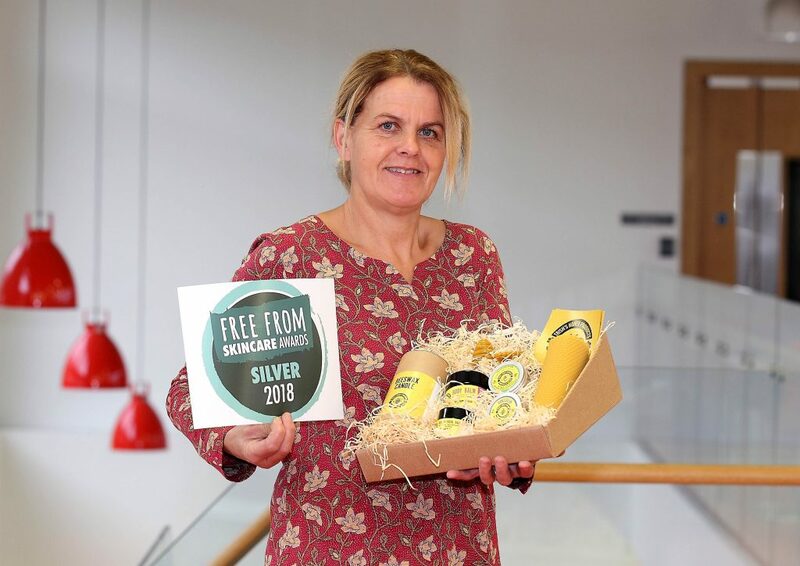 This year it includes some award–winning products produced by two local business women – Patricia O’Neill from Trish’s Honey Products and Victoria Flanagan from Copper Coast Natural Skincare. Patricia O’Neill has been involved with Waterford Crafts Group for a few of years. 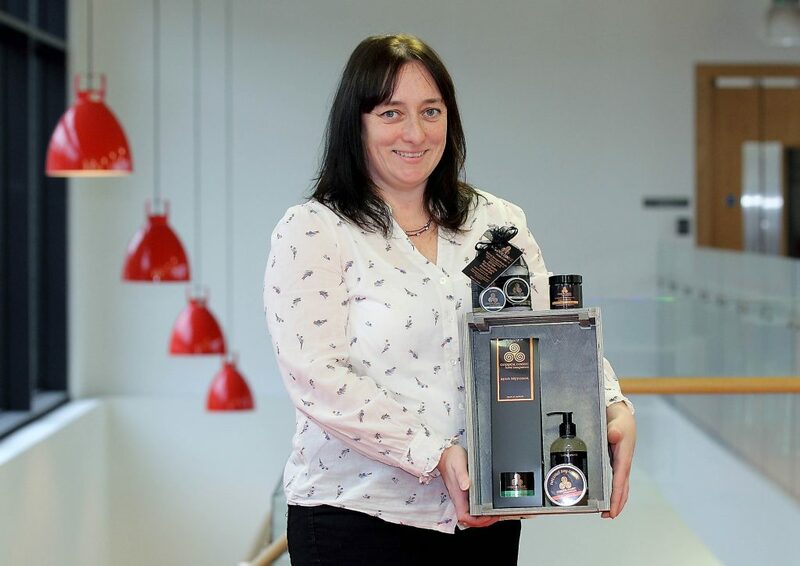 Originally from Dunhill and now living in Tramore, Trish launched her skincare business in 2015. She is a passionate beekeeper, as were her family before her and through her interaction with the bees she has discovered the benefits of using honey and beeswax in organic skincare. Trish’s Honey Products skincare range is certified organic and carries the coveted Guaranteed Irish symbol. Her range consists of five different products and all are unscented, pure, chemical free and provide long-lasting and effective nourishment. A Silver Award winner in the UK FreeFrom Skincare Awards 2018, Trish’s products also recently featured in a “Benefits of Honey in your Skincare” segment on Ireland AM by Jennifer Rock, The Skin Nerd. Victoria Flanagan came to be part of Waterford Crafts Group shortly after starting her business Copper Coast Natural Skincare in 2015. Victoria is originally from Kent in England and has based her skincare business in Dunhill. All her products are SLS and paraben free manufactured using oils, butter, waxes and other natural ingredients. Her Natural Skincare range was inspired by her baby son who had very sensitive skin. Finding it difficult to source natural skincare products to suit his needs, she began making her own instead and has never looked back. All her products are fragranced with Essential oils instead of synthetic fragrance and are all handmade, fully certified and registered under EU regulations. Packaged using recyclable and refillable containers, the Gift Sets are presented in reusable cotton bags and make the perfect gift. This year, Copper Coast Skincare was voted runner up in the beauty Section of Irish Country Magazine – The Irish Made Awards, a terrific success for local business woman Victoria. 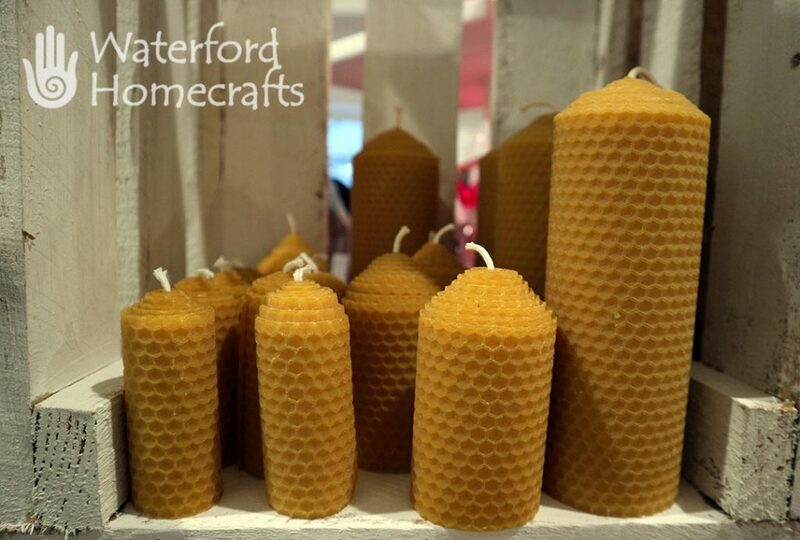 Waterford Crafts Fair stocks a full range of both Trish’s Honey Products and Copper Coast Skincare among so many other treasures. The Craft Fair is open every day in Garter Lane Arts Centre until Winterval closes on 23rd of December. 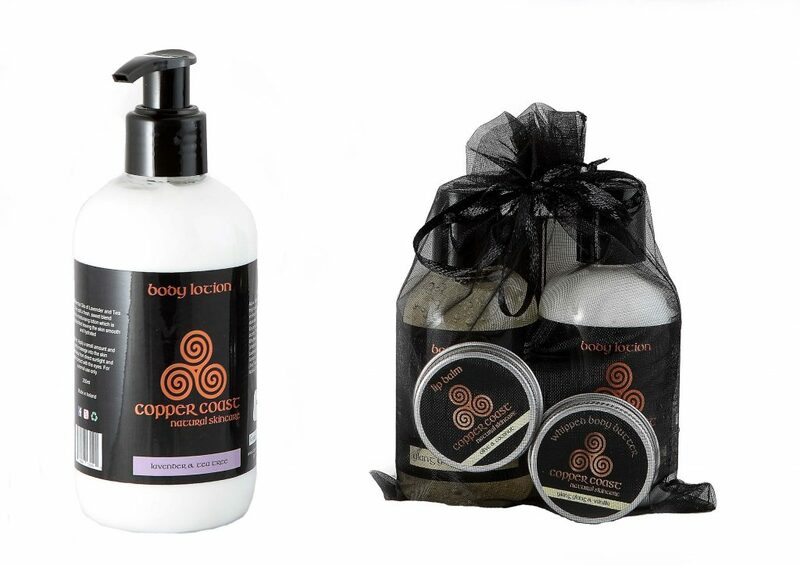 These products are also available online at www.trishshoneyproducts.com and www.coppercoastnaturalskincare.ie. More information is available on www.waterfordcrafts.com.